My chapbook of poems, The Salt Before It Shakes, will be in print and available for purchase in the next few weeks. I'll be holding events throughout Michigan and in Milwaukee over the coming months. A release party will be held in Bellaire at Bee Well Meadery, a signing at Horizon Books, and a reading in early 2018 in Milwaukee. I'm also planning an event in Port Huron, additional events in Traverse City and Bellaire. Maybe I'll come to your town! I'll keep you updated as more event details are solidified. 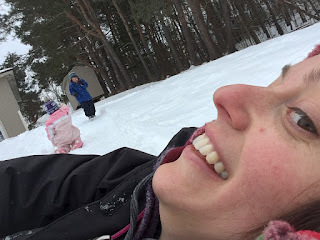 My chapbook will be available at Horizon Books and Brilliant Books, both of Traverse City, Saturn Books of Gaylord, and Boswell Books of Milwaukee. It will also be available through Amazon and through the Hidden Timber Books website. I'm going to be working on having it for sale at other local bookstores, so it may be available near you soon. And you can always buy a book directly from me at one of the events. 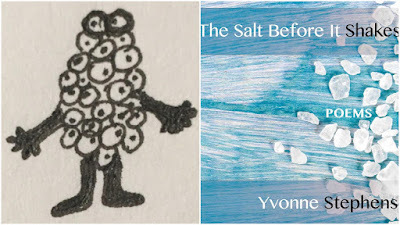 In the meantime, visit Hidden Timber Books to see their other offerings. 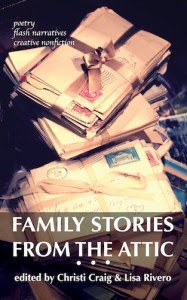 Two of my poems are featured among the best company of stories and essays in Family Stories from the Attic, and Stanley is a wonderful book for kids. Also keep an eye out for the forthcoming collection of short stories by Carol Wobig, author of, Poached is Not an Option--they are sure to delight.